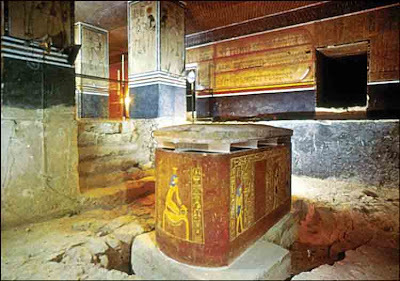 The tomb of Amon-Ofis II is situated at the feet of a rocky spur. 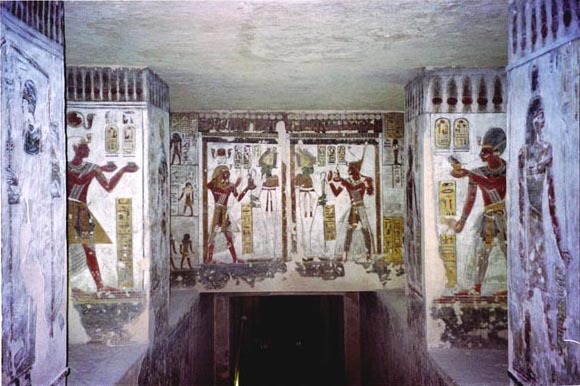 A long corridor with steep steps leads to the hypogeum which after making a right angle turn opens out into a vast hall whose roof is supported by six magnificently decorated rectangular pillars. 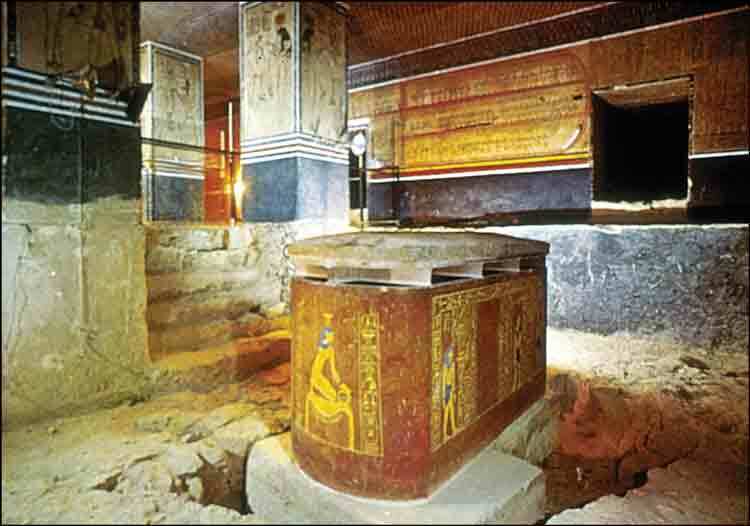 It was in this chamber that the sovereign’s sarcophagus was found. The mummy was intact including a garland of flowers round the neck and a small bunch of mimosa laid over the heart. Along the walls of the hall, looking just like a long payrus which has been unwound, are depicted scenes from the «Book of things which are in the Duat».